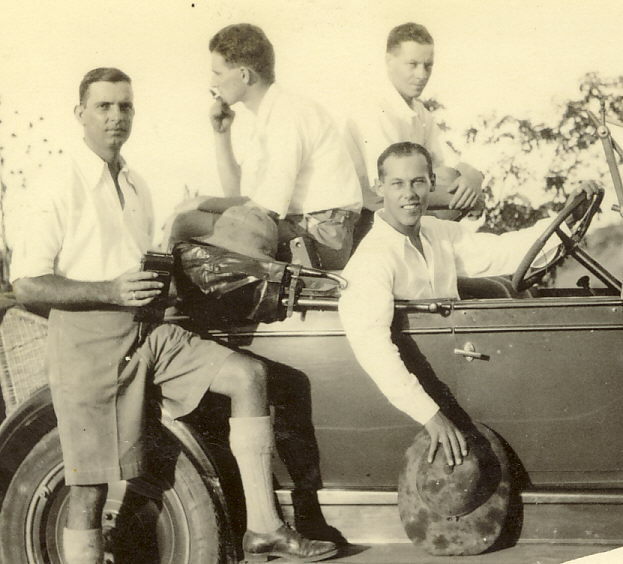 Monochrome photograph of a group of young men in and around an open top car. From their dress and the hat held by the car driver, taken in a tropical location. Gentlemen have some association with local scouts. From a set of photographs glued to 10 sheets of brown paper with some spaces where photos have been torn out.